PLANTAGE BRAKKEPUT ARIBA values the origin of food. This is why your farmer Antonio cultivates fruits & vegetables naturally, without chemical fertilizers & pesticides so he can harvest a safe product for the public. BEROOTS PERMACULTURE can help you design and create your own edible garden, learn how to make compost and improve the soil for better yields. HOFI CAS CORA is a centrally located family farm with a "farm to table" brunch spot. Open only on Saturday and Sunday from 9-3. 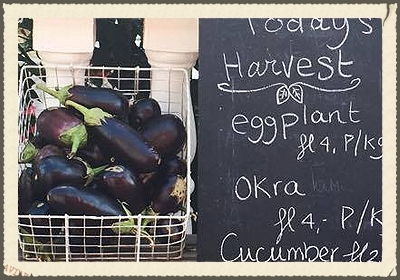 Our menu is a changing menu depending on the fruits and vegetables we have harvested. We will serve egg dishes, waffles, sandwiches, salads and baked goods. 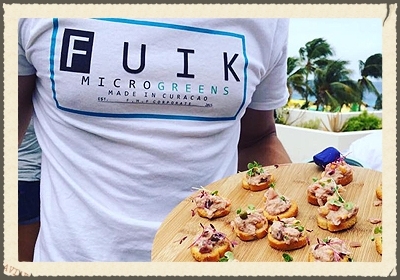 FUIK MICROGREENS offers trendy seedlings known as microgreens. These tiny vegetable greens are used both as a visual and flavor component or ingredient primarily in fine dining. But sprouts are also a delicious way to get protein and vitamins. NOS KUNUKU at Ronde Klip designs living environments that have the diversity , stability and resilience of natural ecosystems. The result: products with high nutritional value, rich in nutrients. Nos Kunuku delivers pre-packaged micro greens to local supermarkets. V-ITAL ORGANIC FOOD A platform for all those who want to become acquainted with bio dynamic farming, permaculture and organic foods in Suriname, Curaçao, the former Netherlands Antilles. It is an exchange forum where interesting information can be shared freely. If you have experience in growing foods in a sustainable way and want to encourage others, this is the place to share your insights. CURALOE Curacao Ecocity Projects NV (CurAloe) is a dynamic company specializing in the cultivation, production & supply of a premium range of Natural & Organic raw Aloe Vera ingredients, and the manufacturing of the CurAloe cosmetic & health drink brand. DINAH VEERIS products is an earth friendly family business, working with nature to provide you a beautiful garden and home made products. We offer our visitors to experience and learn about more than 300 varieties of herbs and plants from Curaçao. VIDA BY PAMELA is an online Food Store with healthy food products. Our goal is to reach every home in Curacao and the Caribbean and we also want to be recognized by many, for our health food products and contribution to the community. 'Vida by Pamela' stands for Passion for Health, Life, Joy and happiness! ASIS FRUITSWAGEN Sells fresh fruits and vegetables. A lot of produce is organic and grown by local farmers. Asis is well known for fresh coconuts and free advice on how tu use fruits and herbs as remedy for specific ailments. HARMONIA TIENDA DI SALU offers a variety of products and food including healthy oils, grain products and wilde rice, nut pastes, plant milks, teas and much more. Harmonia searches all over to find you the best products to keep you fit and healthy. INCREDIBLE NUTRITION & MORE is the be-all, end-all destination for all those health conscious individuals. We are one of the... leading and fastest growing companies in our industry to offer a fast, fun & friendly shopping environment with products that are always in stock. NATURAL & ORGANIC HEALTH FOOD STORE a natural & organic health food store that has products that are gluten-free, sugar-free, vegan and much more! It's the beginning to a healthy lifestyle..
JAHMAN'S PLACE offers delicious takeout food that is 100% plant-based. We prepare colorful Caribbean dishes, full of flavors. If you have any questions, you are welcome to call us, or attend our workshops or presentations on veganism. HELLO BIRDIE CUPCAKES providing delicious, high-quality and nutritious alternatives to Curacao's cupcake scene is what Hello Birdie is all about. ...We believe desserts can and should make you feel good without containing overly-processed, artificial ingredients. And, we know just how to make them! MAIA WHOLE FOODS is a great place to grab or order for delivery a variety of Delicious & Nutritious meals to be enjoyed at the office or at home. SIMPLY SALADS CURACAO not "just" a lunchtime delivery service! We lovingly create delicious, one-of-a-kind meals packed with nutrition to help you thrive! THE SPOTTED BANANA creates plant-based meal plans that will provide you with essential vitamins and minerals for a healthy lifestyle. If you're not on our mailing list, just send us an email and we will gladly keep you updated with our weekly menu. We deliver too! NOOSH On-the-go nutritionist-developed raw cold-pressed juices & foods made fresh daily with 100% kind ingredients and pure love. We are searching for ways to improve our product and exceed your expectations. One way to keep our quality high is to work with in-season ingredients only. ROYAL THAI restaurant, located at Bloempot, serves seafood, Thai, vegan and vegetarian dishes. You can custom order from the menu to your taste and each meal is attentively cooked for you with fresh ingredients. Take-out is also an option. MOHOMEMADE I use products from Curaçao or the Caribbean to make delicious jam, herb butter and pesto. I like to use products when it's their time. I sell these at a food stand in Punda. MAX&BEE JUICERY is more than a juice shop. It represents a holistic lifestyle that goes far beyond juices, handmade milks and super foods. It’s a way of living to the max and loving your environment. Fuel your body with the best quality products and help yourself live a better life. VITA VEGETARIAN CUSINE is a unique concept in vegetarian dining.The cuisine to be offered is healthy, fresh and appetizing with vegan and gluten free options. Order via Dushi Food! SUPER NICE JUICES are cold pressed everyday from raw fresh produce, and contain no preservatives, additives and are not pasteurized. Check out our 3 day, 5 day, and 7 day CLEANSE/ DETOX programs.Delivered daily straight to your home or office. Fresh is our aim! BELLA NOVA Facial Moisturizer isn't JUST a facial moisturizer. Aside from it's healing and moisturizing properties, it can be used for different purposes; that's what's so great about it! . We're here to offer you a number of possibilities in a jar. THE NATURAL BEAUTY SHOP 100% natural hair & skin products, All natural butters, oils, essential oil, clays and homemade soaps, lotions, lipbalms and candles. Come meet us at our shop located on Corriweg 8B. INTEGRA NATURAL Nature's best beauty products brought to you. Body scrubs, lip balms, body lotions, soaps and much more. ADORA COCO manufactures and distributes Organic Extra Virgin Coconut Oil and other Coconut Oil products. "A tablespoon of coconut oil per day...goes a very long and healthy way!" NATURAL CARE Authorized retailer of SheaMoisture. A better way to beautiful since 1912 Natural product's for hair, bath, body, face, kids, baby & men. ETHAN"S CUSTOMIZE COSMETICS we present to you our botanical Skin Care and makeup products. The products can be described as elegant, multi-functional and high standard. They also smell good and are easy to use. That's the type of product that has an added value for a person. SCENTED DREAMS products are made to bring joy and happiness to the heart. We sell candles, soaps and air fresheners handmade and hand poured locally. We can help you design your own scented dream soap or candle according to your wishes. PALUARTE by working with wood I try to strengthen my unity with and reverence for nature. I try to give the tree a second life by br...inging out its inner beauty. Forms in woodturning are not straight lines, but circles and spirals, just like nature and the many turnings of the dance of life! ESTEBAN FERRALES masters the art of shaping figures and designs in relief, molding clay, resulting in amazing works of art that have literally transformed places. He is a pure, unbridled talent. You’ll be enchanted by his wonderful imagination that fuels his art. FORTUNE KOEKIE we make unique and decorative gift items out of materials you'll probably consider "trash". "Be" the Cycle with amazing "Artscyclable" gifts. CHICHI CURACAO Chichi® is a sensual, well rounded Caribbean figure. Story of pure art. She represents the smart, strong and caring elder sister everyone deserves. ITSY BITSY the main goal of Itsy Bitsy is to offer the people of Curacao, especially young children a unique opportunity to come in con...tact with farm animals by allowing them to feed, touch, smell and appreciate these animals. In doing so we hope to help cultivate love for these animals and stimulate respect, responsibility and awareness for (domestic) animals in general. GREENKIDZ CURACAO helps children from Curacao to make their living and school environment cleaner, greener and healthier through awareness, education and empowerment. We devote much attention to he issues of litter and waste disposal, recycling, creating healthy living environments for humans and animals. BRAKKEPUT MEI MEI a challenging 18 hole mini golf course awaits you and your kidst. The fully equipped playground including swings, wooden playhouses and slides can be used by kids and are also available for kids parties and all inclusive arrangements. KUNUKU AQUA RESORT enjoy a perfect day with your family at our brand new resort Kunuku Aqua Resort. We have different swimming pools with in total 3 slides - one with a 137 feet water slide - and a special pool for small children. You can purchase a day pass to enjoy the pools, playground and sports field. DRAZANS Youth Theatre Academy that provides acting classes and teaches song and dance to children age 6 to 18 years. VERMAAS GLAS EN ALUMINIUM In addition to glass and aluminum Vermaas delivers custom woodwork from the carpentry workshop in Curaçao. We use sustainable Dark Red Meranti (Select and Better PHND) from Indonesia whichguarantees good quality. The tropical wood is sustainable produced and has the FSC label (responsible forest management). MAD WORK - HAPPY ECO LIFE how to live an ecological life in the Caribbean using Permaculture Design principles. My aim is to inform you on how to harvest water, energy and healthy food and build a healthy home in order to live a self-sustainable life using natural, sustainable en renewable materials as much as possible. YOUR IMAGE IS MY IMAGE provides services in the sector of construction and boat repair. These services include renovation, assembling, repair, painting and maintenance. WOODGOED The furniture webshop of Curacao! Are you looking for tailor made furniture from scaffolding wood, oak, cedar or mahogany, then you've come to the right place! OLIVER JONES DESIGNZ is a skilled craftsman who can build and redo you anything you like. Kitchen interiors, walk-in closets, furniture for the porch. You ask, and he will make it and deliver beyond your expectations. A.H.A.V. is a jewelry brand all made in Curacao, the name stands for Amo, Humanitas, Animo and Vita. Which means I love humanity, soul and life. Our shop is located @ the BLVD, the new shopping mall at the Sea Aquarium beach. LOVELIES BY LOELOE Handmade Jewelry. Made in Curaçao by Loeloe. 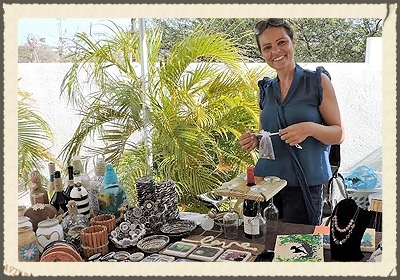 ME CURACAO hand made accessories... available for purchase. Be Unique.., be Me Curacao ! KAMAKURA GYM CURACAO is a leading authority in the field of kickboxing in Curacao. If you want to learn boxing and kickboxing come to Kamakura. ZUMBA CURACAO Love to dance? Love to teach? Want to learn something new? Zumba Fitness and Zumba Gold instructor trainings. Go to zumba.com to sign up. SPORTS & HEALTH CLUB THE CHALLENGE The largest and most modern fitness center in Curaçao! Located near Jan Thiel Beach. Personal coaching or personal training on State of the Art' Technogym equipment by certified instructors. Free child care from Monday to Friday. CHUKI DANCE & BODY SHAPE for all your Latin dance and dance fitness classes on Curaçao. Join us! MONDI LODGE was created with the ambition of becoming an ecolodge32. From the start we have taken steps in becoming greener and greener, like making furniture with recycled materials. We aim to eventually become a certified ecolodge. LIONS DIVE & BEACH RESORT is a nature-oriented accommodation that strives to maintain the highest possible standards in a sustainable organization. Saving water, saving energy, monitoring waste (incl. recycling) and waste water are an integral policy of the resort. ECO-VILLAGE SOL has the mission of becoming Curacao and the Caribbean first 100% self-sustainable community and tourism eco village dedicated to environmental and sustainable research, collaboration and education. We envision a world of diverse ways of being, united in harmony with each other and the planet. THE STRAND CURACAO Energy conserving technologies ensure the highest quality experience for our guests while reducing waste.We utilize biodegradable and/or green cleaning products to clean your apartment every 3 days. Extra cleaning and towel wash is upon request to minimize unnecessary washing. Once out of circulation, old towels and linens are reused as cleaning rags. MORENA ECO RESORT Morena is the only Eco Resort in Curacao to have proudly received both a golden 'Green Key Award' and a golden 'Travelife Award', from two internationally recognized environmental certifying organizations. THE NATURAL The Natural Curacao is a clothing optional resort for everyone who is fond of peace and quiet, loves nature, likes diving, lives freely and does not like mass tourism. Everyone, who is older than 16 years, is welcome to join us to stay naked or dressed at the swimming pool, on the terraces or in their very own accommodation. DOLPHIN SUITES We think green! In order to create the healthiest possible environment for our guest we clean our accommodation with organic cleaning products, we provide natural body care amenities and make sure the pool includes a lower, yet accountable chlorine percentage in combination with salt. These are examples of our sustainable service level. WANNAGO OUTDOORS With WannaGo Outdoors, launched in 2008, we organize Teambuiling, Eco and Outdoor events and we organize incentravel programs. We can help you improve the performance of your team. We can challenge your group in many ways, not only during physical assignments but also mentally. Experience fun in nature kayaking. Nature Is life. Take care of it! For tours and more, call us! GRACIAS CURACAO At our two and a half acre property we offer you the opportunity to go back to basics. You will go to bed with an oil lamp. In the early morning, the birds will wake you up by singing their love songs. You can watch the sunrise from your own block hut with an ocean view. YOGA I AM power Yoga is a powerful and dynamic form of yoga, derived from Ashtanga yoga. Physical postures change variably, as in a series of exercises. No power yoga session is the same. It’s dynamic, a good workout, exercising body and breathing, providing you with energy. SENSI SPA The massage oils that we use are pure and natural: each is a combination of a base oil and several essential oils. Our customers can choose from different scents or opt for a neutral odorless oil. Our massage oils are biodegradable and not harmful to aquatic life in Curacao. RAINBOW RETREAT offers people tools, like yoga and meditation, to help them further evolve on their spiritual path. Patricia McGraw, certified Vedic Master and certified Kundalini Yoga teacher, is committed to teaching people the value of taking responsibility of their own choices, regardless of their situation. YOGA CENTRUM CURACAO I am Yvonne Martin, a qualified yoga teacher. Besides regular yoga, I also give individual attention and guidance to pupils based on the yoga philosophy. This is done by means of yoga courses, meditation courses and breathing therapy, during all of which breathing is of central importance. BE YOGA Our Viniyoga lineage style Hatha Yoga classes are based on the classic and ancient practices taught by Sri T. Krishnamacharya, with attention to alignment and the deeper layers of yoga. Our classes are generally well suited for beginners of all ages. 8 THE EXPERIENCE At 8 we value community. We believe in creating a community within our building and becoming a part of the one around us. We recognize our responsibility as a good neighbor. Our goal is to achieve financial success so that we can contribute to the economic success of our community. We believe environmental and profit goals are mutually attainable. 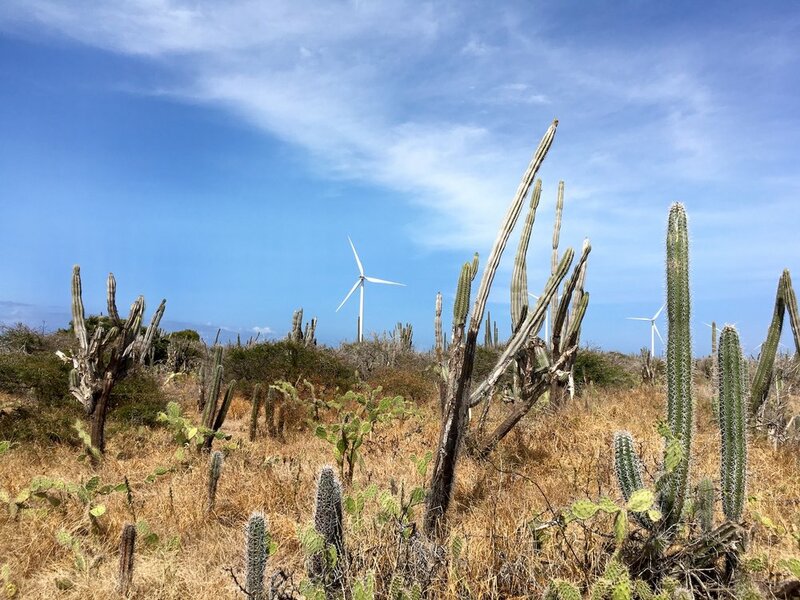 ECO ENERGY CURACAO is expert in the field of sustainability. Our range consists of solar systems, swimming pool pumps, solar and LED lighting. Our advisors are available daily to guide you around in our new showroom and advise you on the possibilities of Eco Energy. GARNET NV is an official and certified installer of solar panels and has carried out several projects in Curaçao. 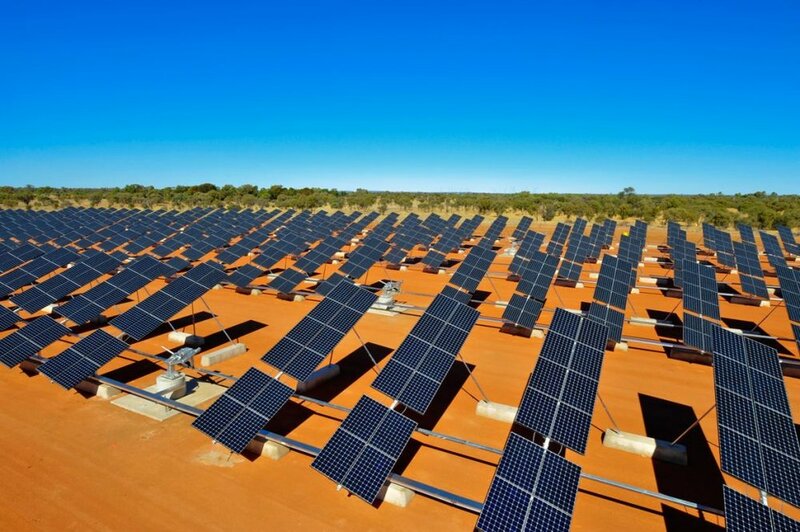 Installing solar panels requires a considerable investment which, if properly tuned to the daily consumption of the household, will be received back in a reasonable short period of time. DUTCH DURABLES BV specializes in renewable energy. Working in the field of solar energy, we apply Dutch quality standards. Our company’s core value is reliability; service and warranty are top priorities. We share our knowledge as much as possible with local contractors. DYNAF ENERGETIC SOLUTIONS In addition to installing solar panels, we offer Do It Yourself packages. With these Solar Packages we will supply you all materials needed for installation of your Solar set including instructions. By Doing It Yourself you can save on the installation and permit costs of your installation. GREEN FORCE can help you set up a recycling program for the following materials: Plastic PET (1) drink bottles and cleaning products; Plastic HDPE (2) cleaning product bottles; Plastic shrink wrap LDPE (4); Aluminum cans UBC (Used beverage can), and also used car batteries. THE BOEKENBANK CURAÇAO sells second hand books, clothes, CDs at low prices. The proceeds go to the Food Bank and other charitable causes. The Boekenbank Curaçao is a restart of the book market of Ayudo Sosial . It is run entirely by volunteers. BLACK Curacao offer you proactive support on a secretarial, administrative and (online) marketing level.